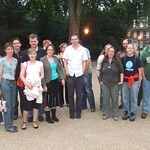 Bedford Square is a garden square in the Bloomsbury district of the Borough of Camden in London, England. 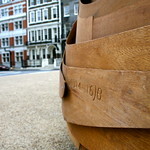 Built between 1775 and 1783 as an upper middle class residential area, the square has had many distinguished residents, including Lord Eldon, one of Britain's longest serving and most celebrated Lord Chancellors, who lived in the largest house in the square for many years. 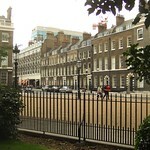 The square takes its name from the main title of the Russell family, the Dukes of Bedford, who owned much of the land in what is now Bloomsbury. 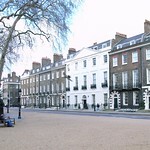 Bedford Square is one of the best preserved set pieces of Georgian architecture in London, but most of the houses have now been converted into offices. 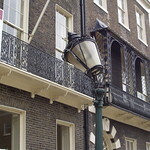 Numbers 1-10, 11, 12–27, 28–38 and 40–54 are grade I listed buildings. 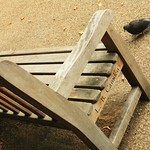 The central garden remains private. 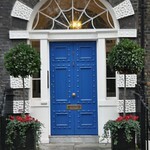 Bedford College, the first place for female higher education in Britain, was formerly located in (and named after) Bedford Square.